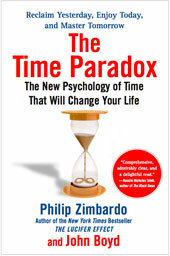 Click below for a brief segment on two of the many time paradoxes. Click below for a brief discussion of how children’s and adolescent’s future time perspectives can be expanded and strengthened. Click below for a brief video click discussing the ironies and paradoxes surrounding time and punishment in America today. If you knew that you were dying but had one last chance to speak to the world, what would you say? Hear Professor Randy Pausch’s answer to that question in his moving and inspiring “Last Lecture”. Randy Pausch died July 25, 2008 at the age of 47.